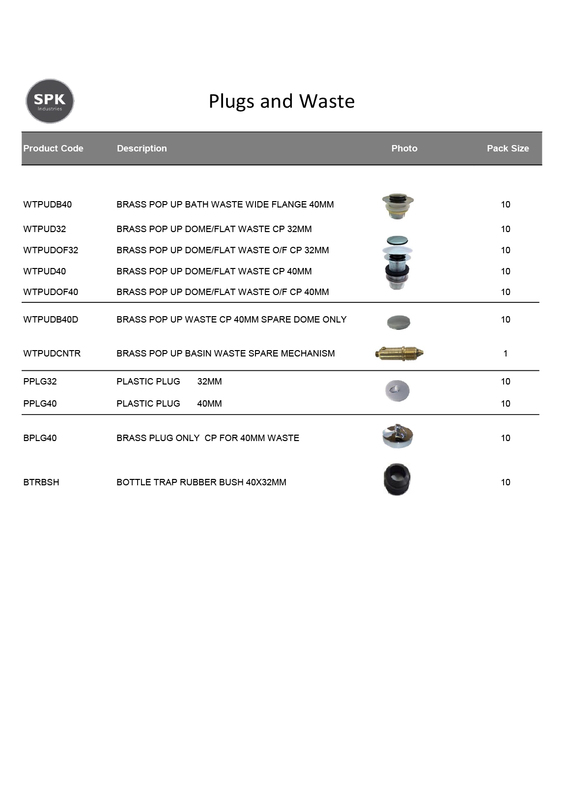 SPK waste products are contemporary and functional. SPK waste products are available for both 32mm and 50mm applications with floor wastes available in 80mm and 100mm. 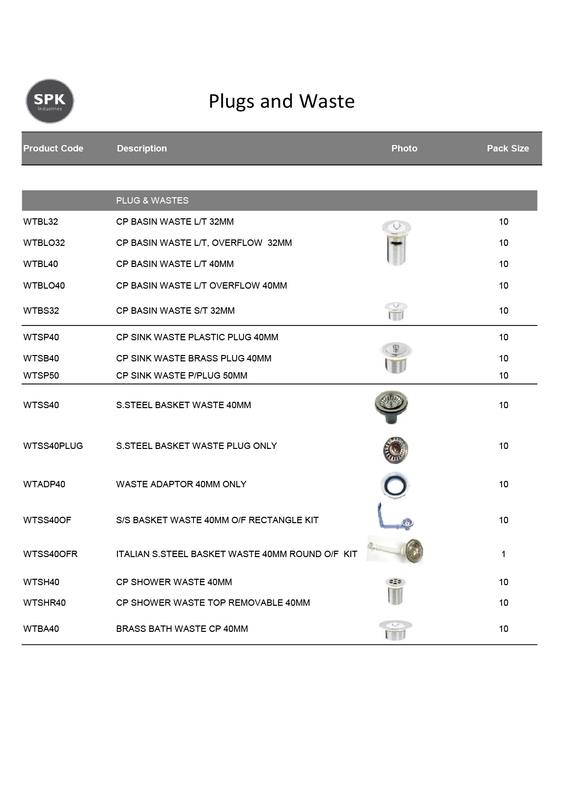 See SPK Industries selection of plugs and waste products below.